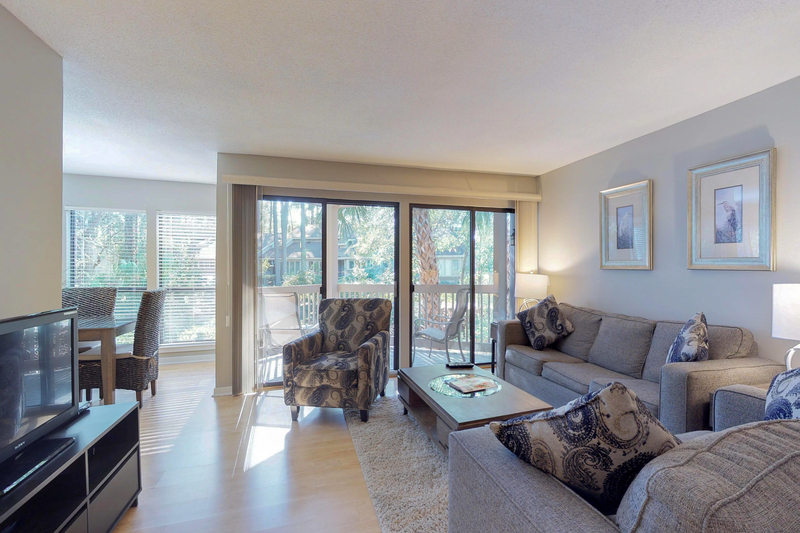 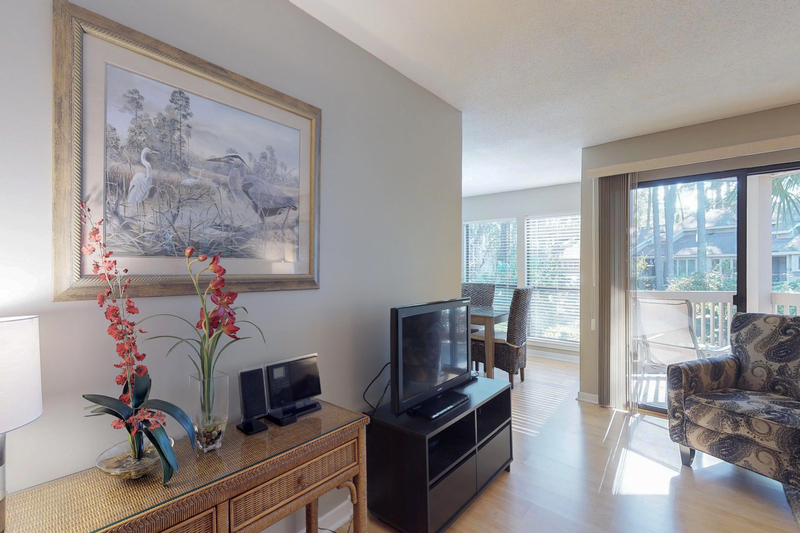 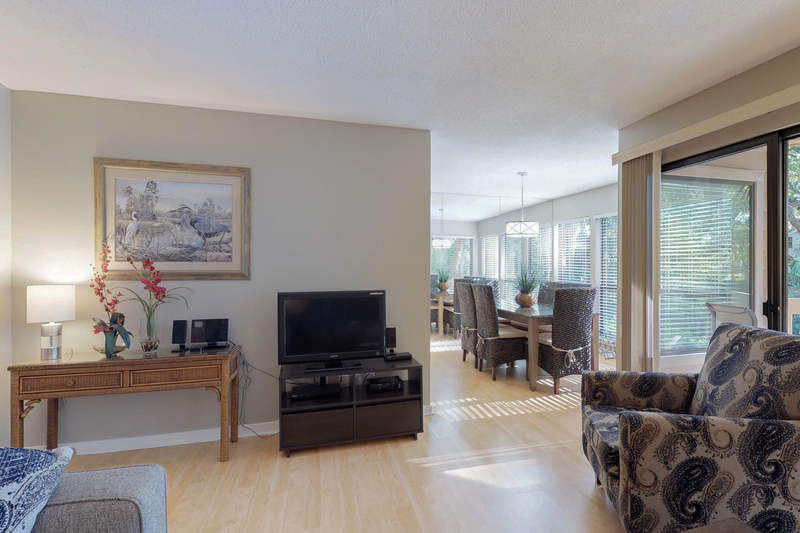 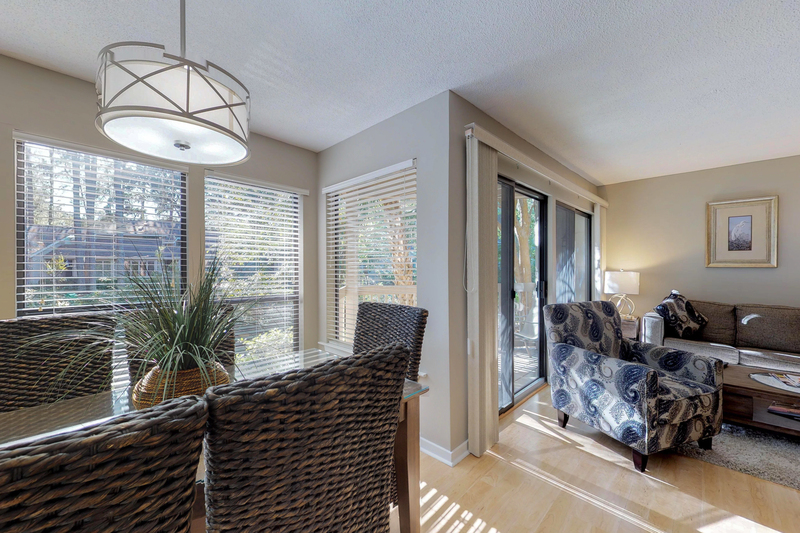 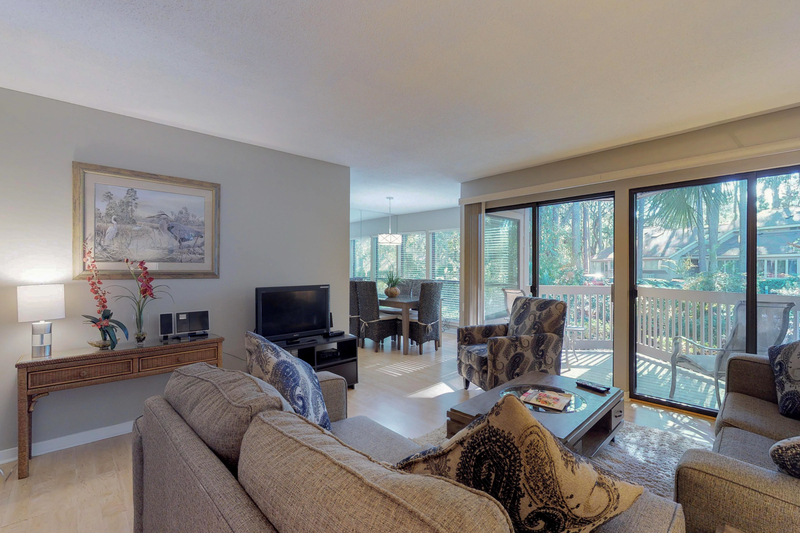 This lovely raised first floor flat in Lighthouse Tennis features an open living/ dining room including a 32" flat screen TV and DVD player and access to the private deck with landscape views. 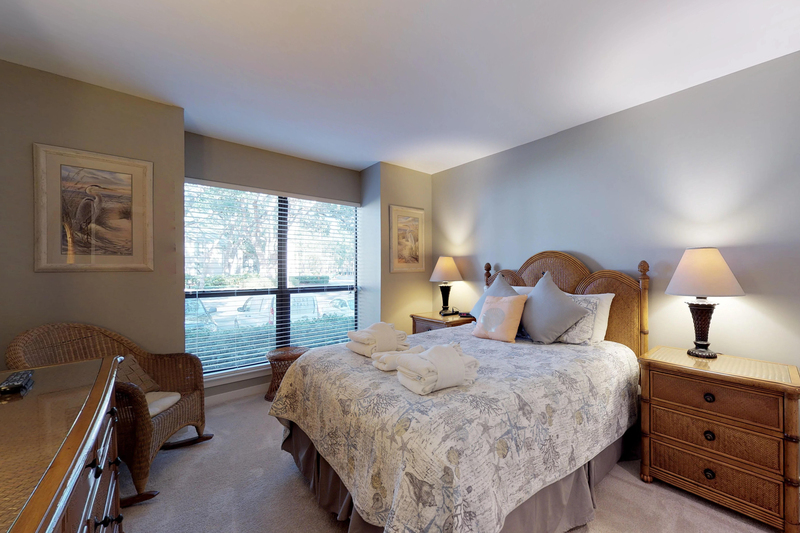 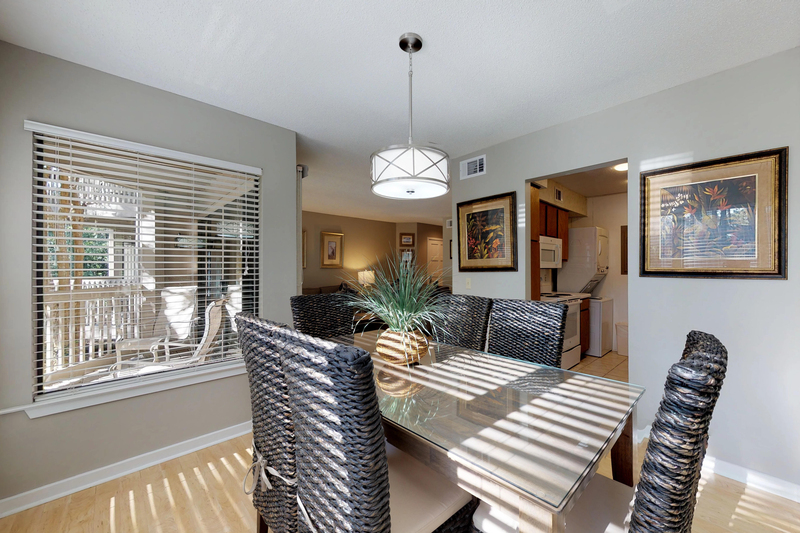 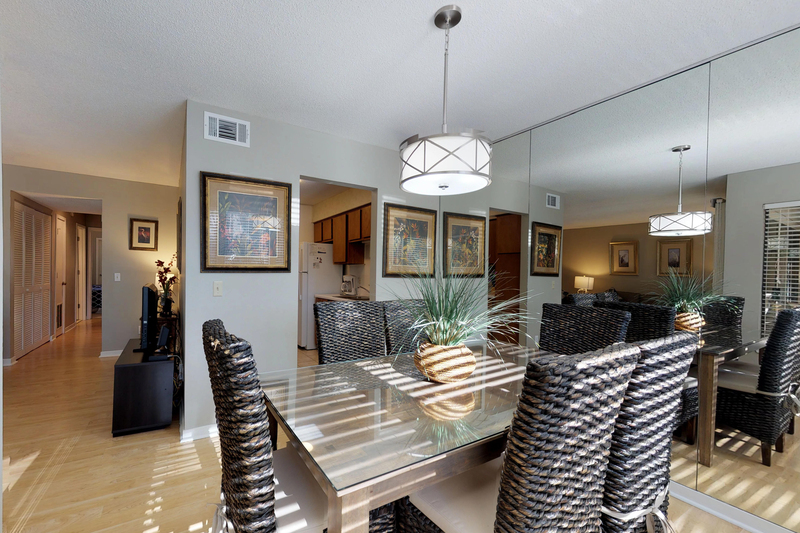 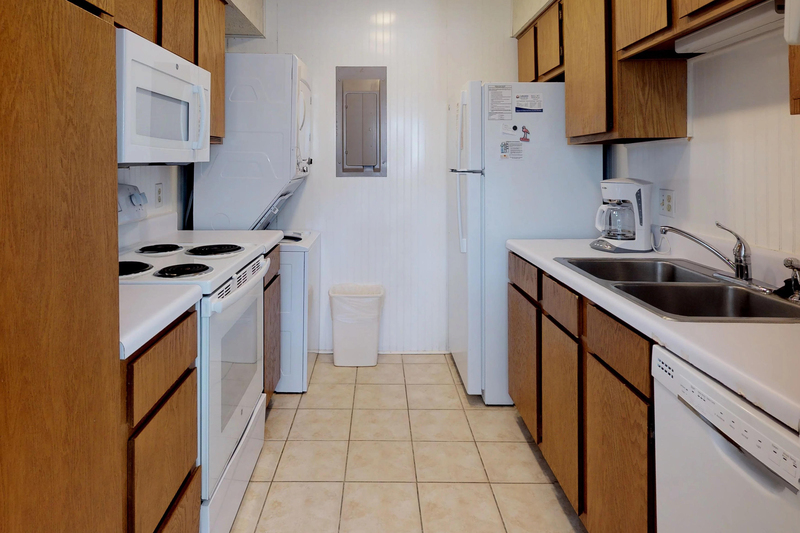 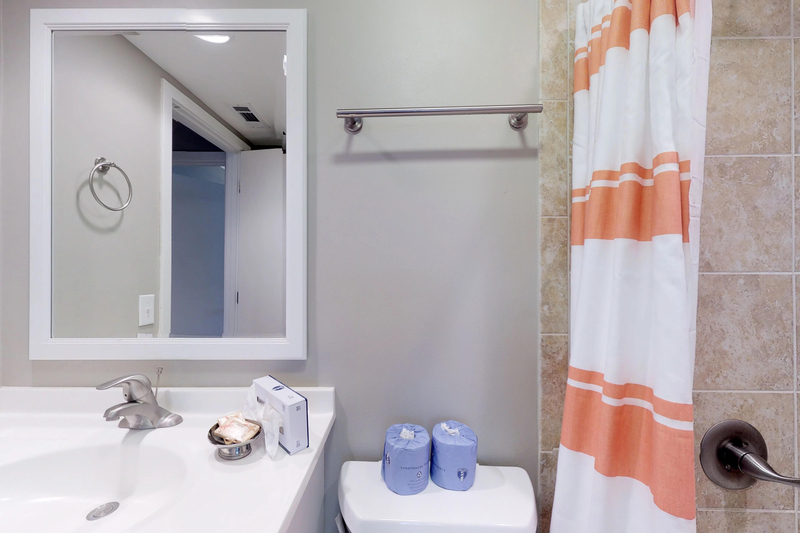 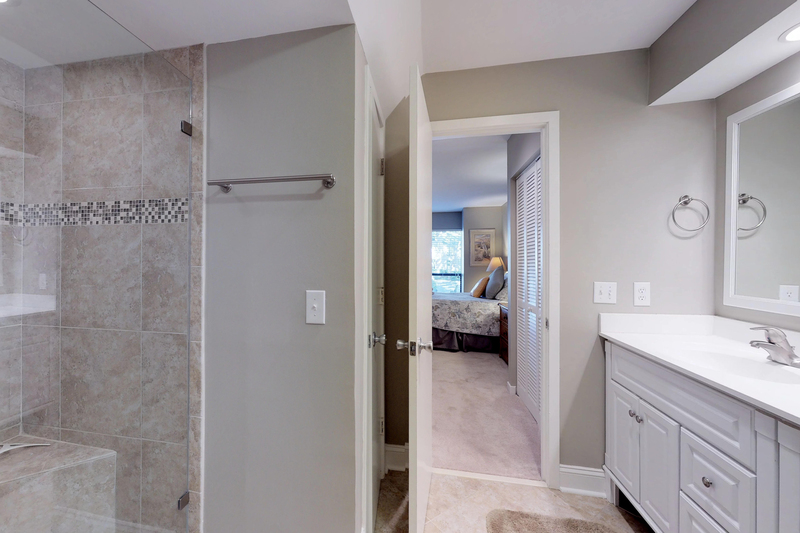 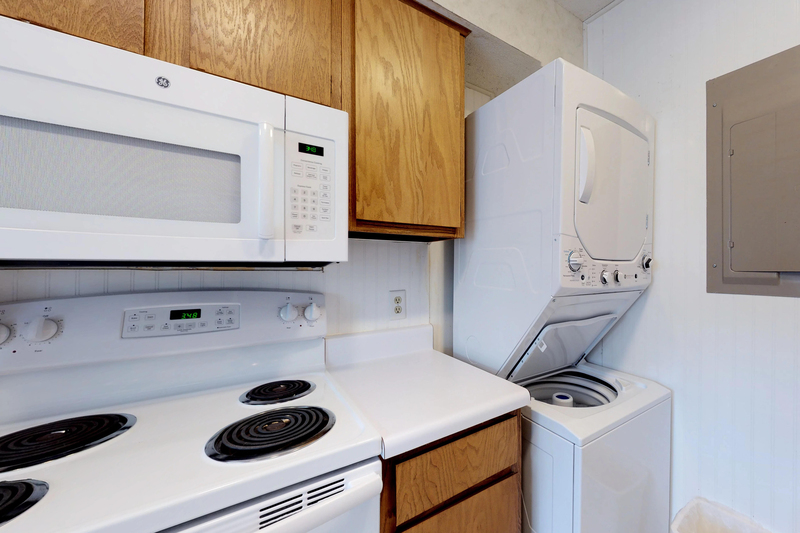 The galley style kitchen is also furnished with a washer and dryer for your convenience. 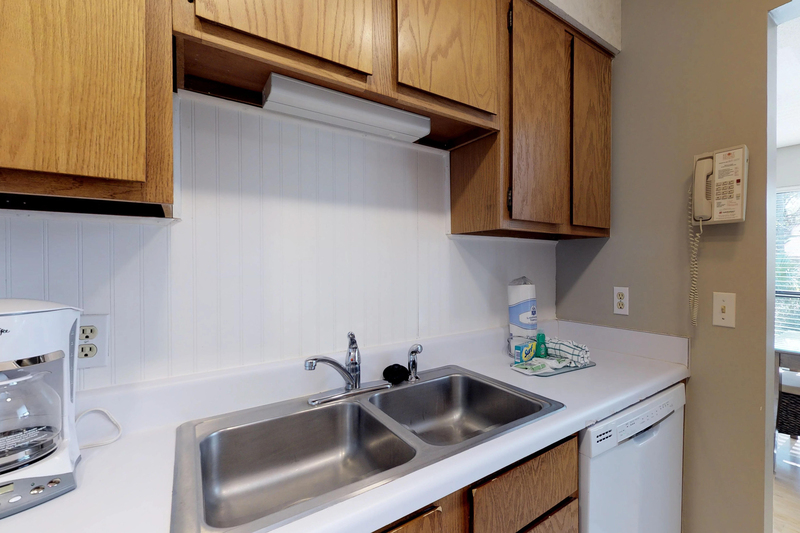 The kitchen also includes a Keurig for easy beverage making. 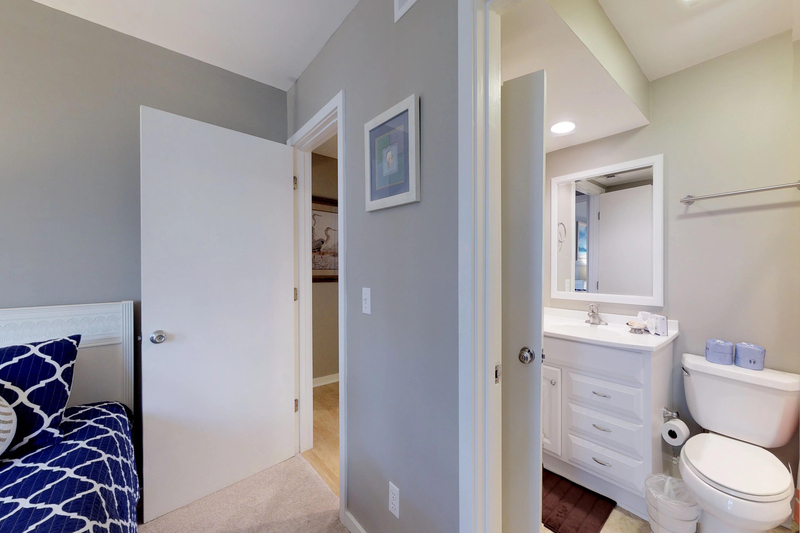 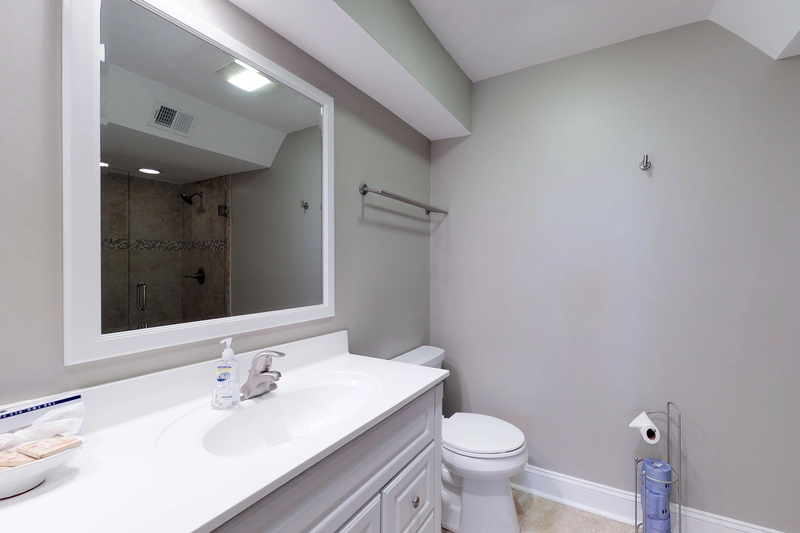 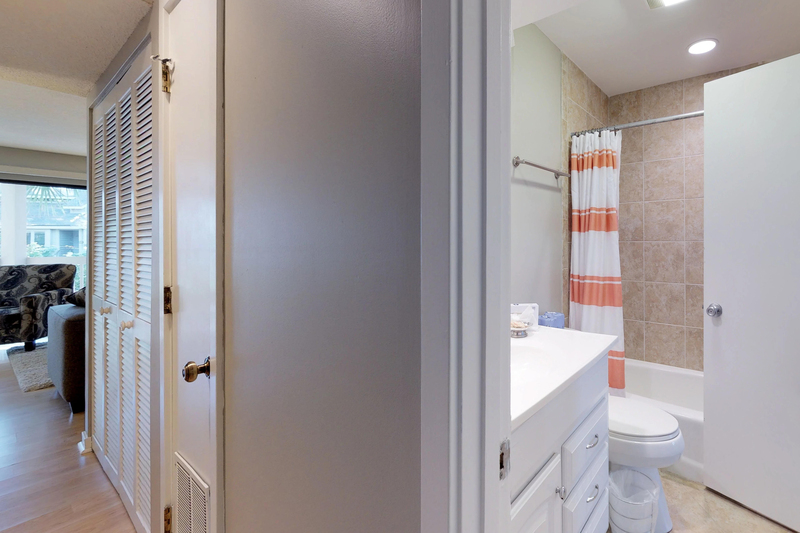 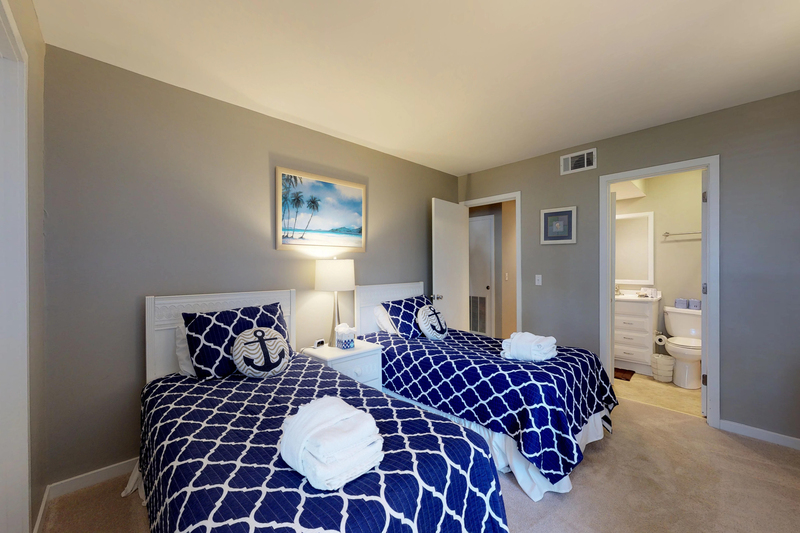 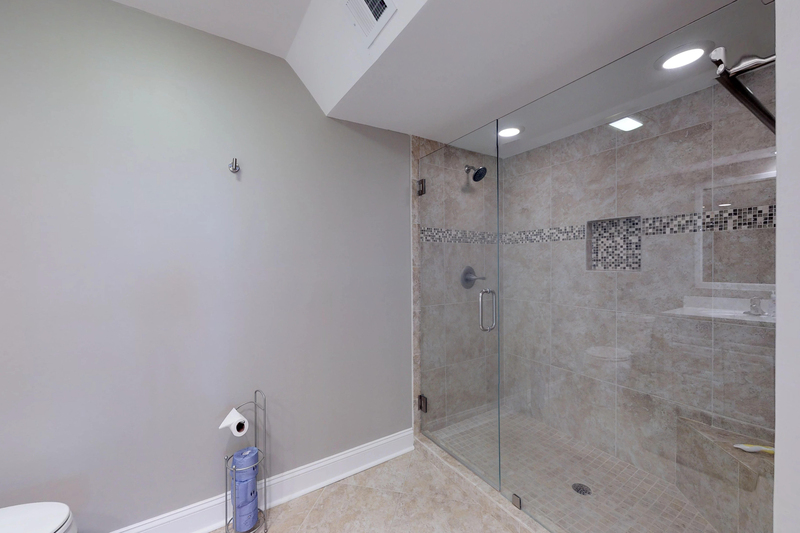 The master bedroom features a king bed, 25" flat screen TV, and private bathroom with an updated bathroom with a walk-in shower, as well as a double vanity. 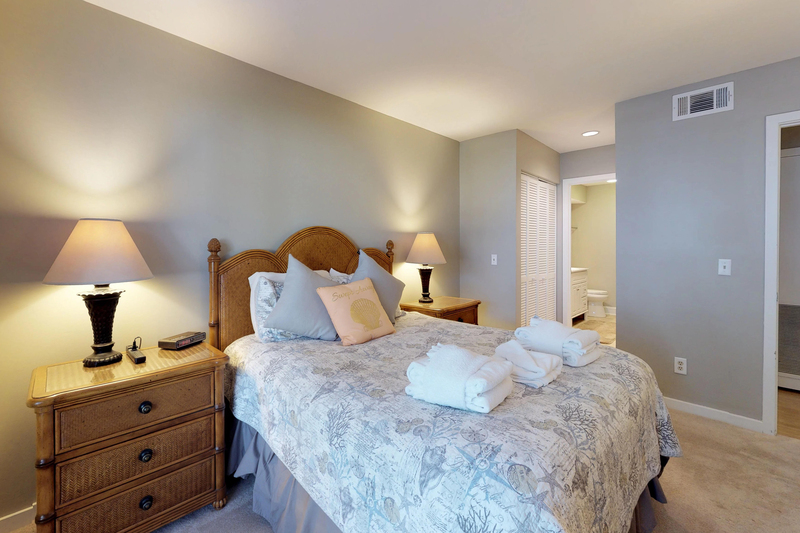 The guest bedroom is furnished with two twin beds, a 25" flat screen TV, and adjoining bathroom with a tub/shower combination. 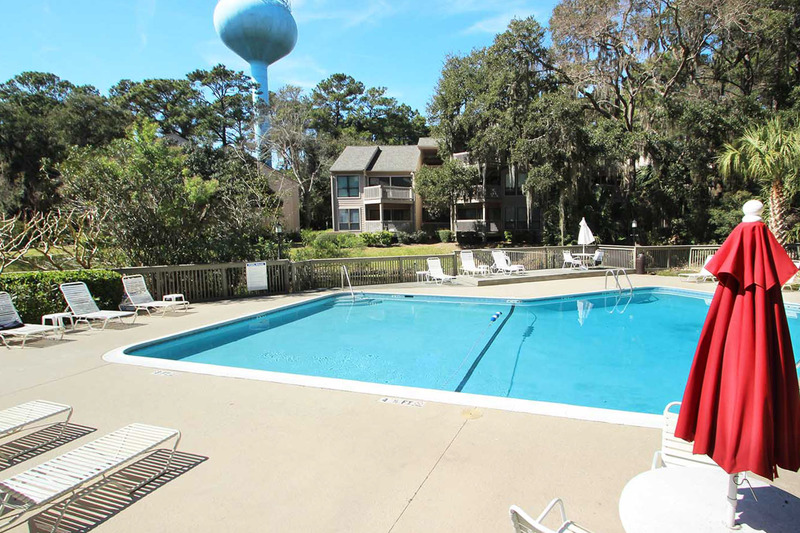 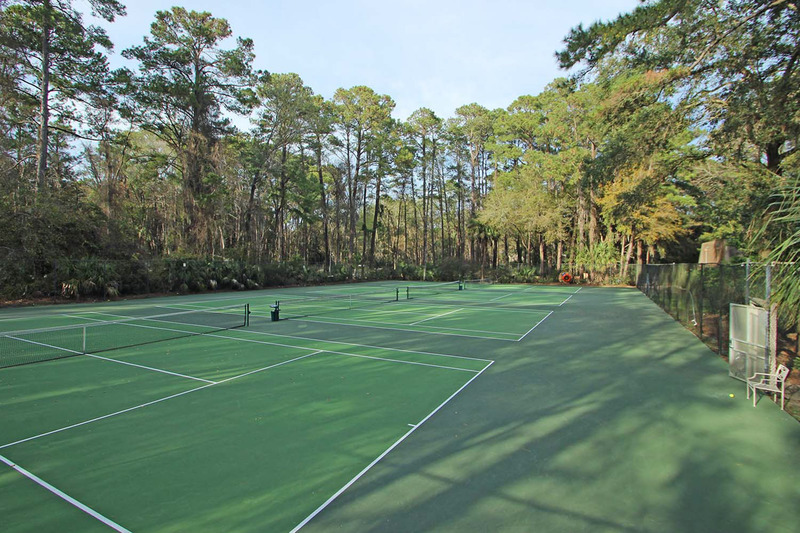 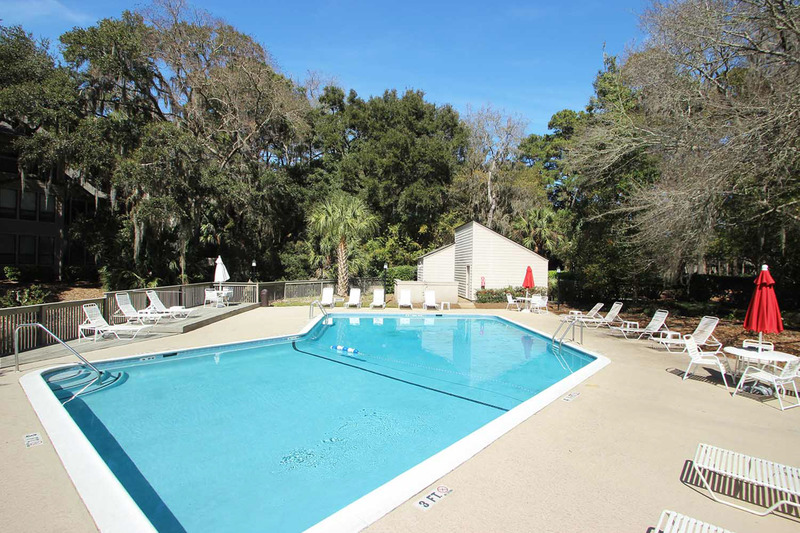 The Lighthouse Tennis complex is nestled among fabulous old moss-draped oaks and has on-site tennis courts and swimming pool for the exclusive use of its residents and guests. 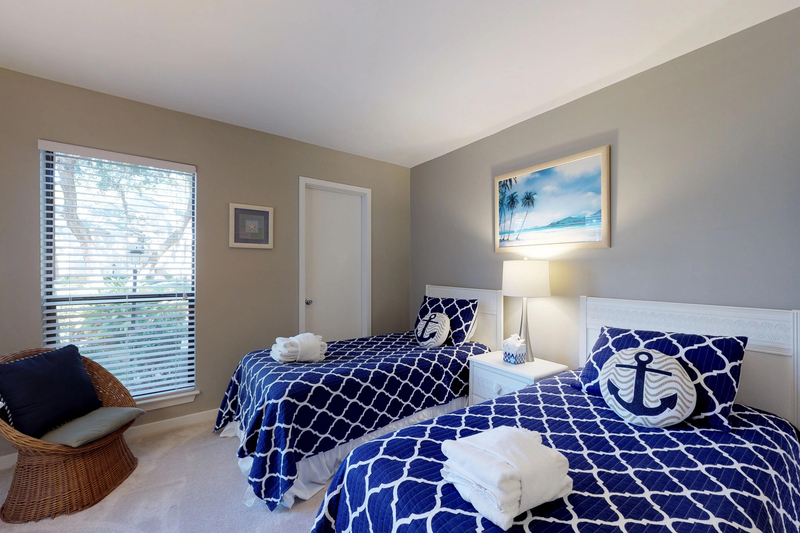 These contemporary one-level, 2 bedroom villas are beautifully integrated into small clusters of two and three story buildings, all of which are a short walk to Harbour Town. 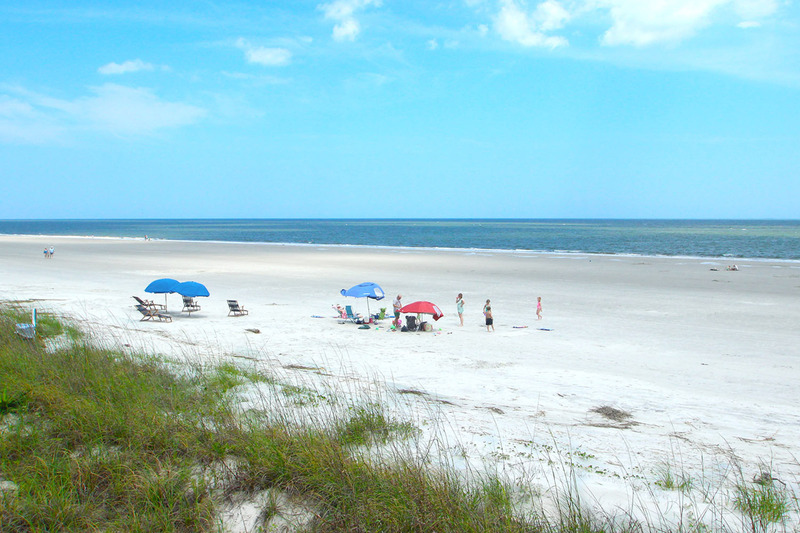 Beach access is within biking distance. 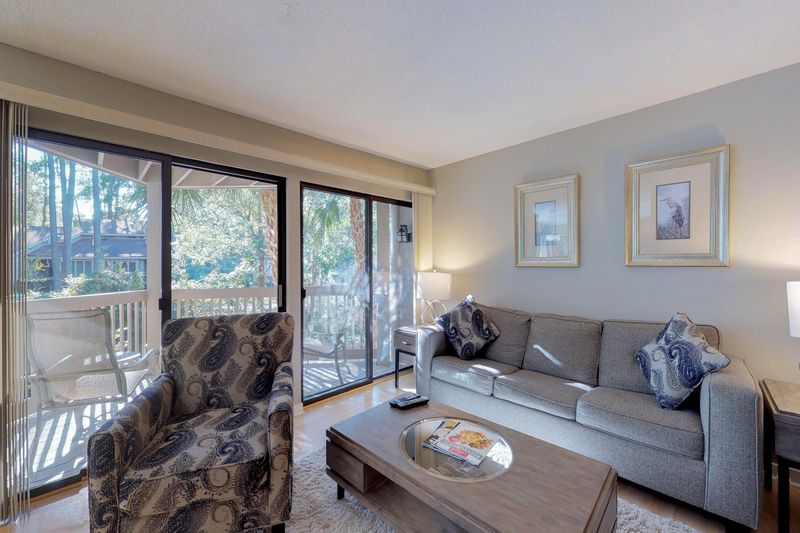 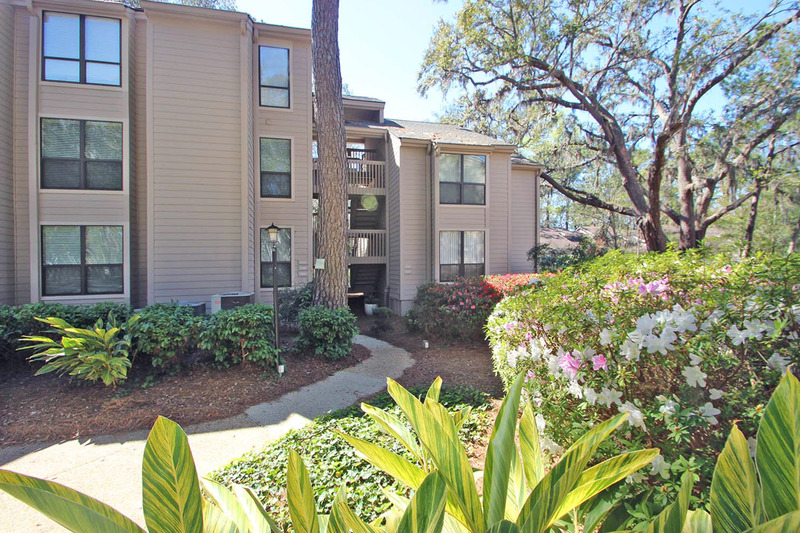 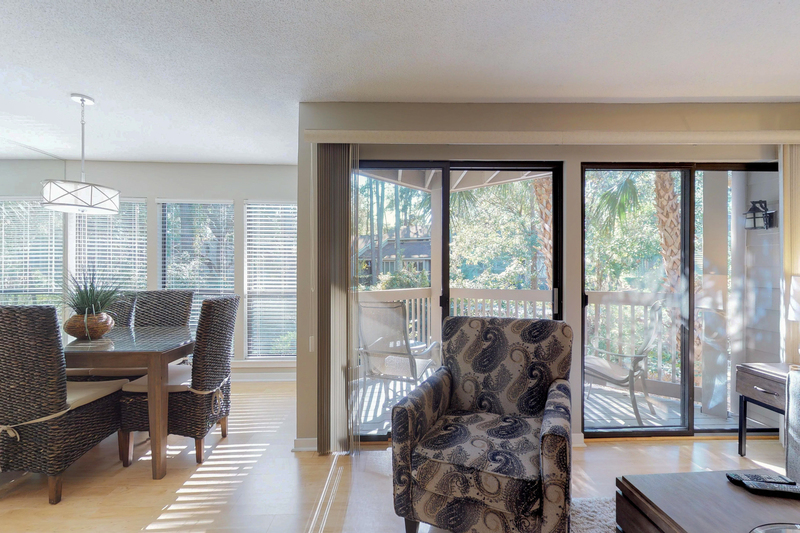 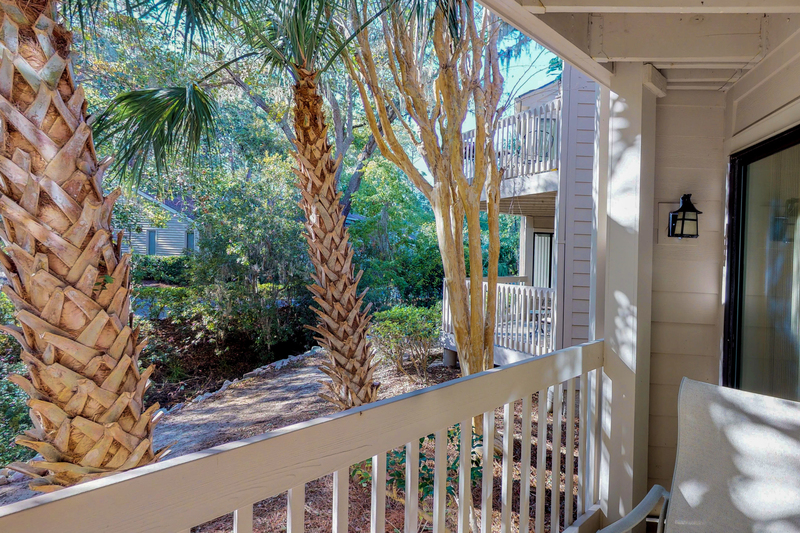 Both the beach and Harbour Town are also accessible via the Sea Pines Trolley which stops at the nearby Sea Pines Center plaza, a short five minute walk away. 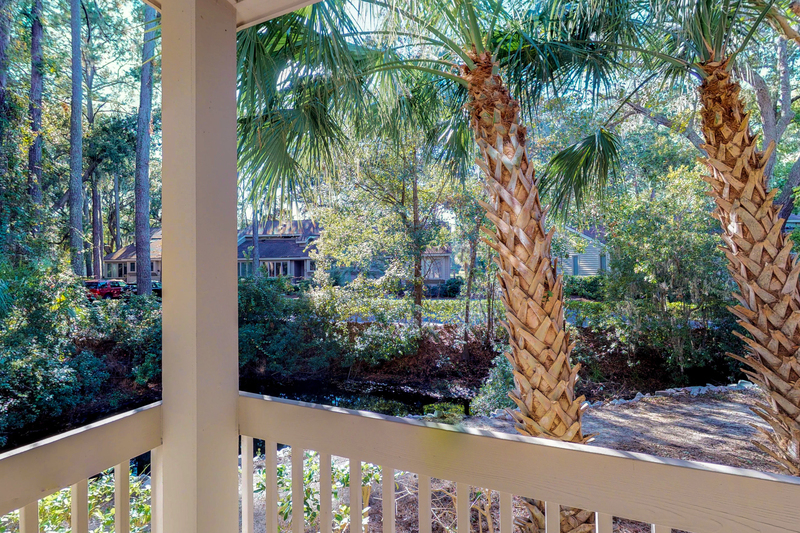 Great shopping and delicious dining are also available at the plaza and Harbour Town.